Edward J. Vogel, MD provides litigation support and expert testimony for both the plaintiff and defense. His services cover all areas of obstetrics and gynecology. 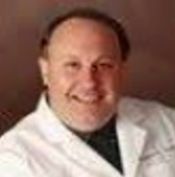 Dr. Edward Vogel is an OB/GYN Hospitalist at Stafford Hospital Center in Stafford, VA. He was in private practice for fourteen years in Poughkeepsie, NY where he was the founding partner of a thriving OB/GYN practice. Dr. Vogel was also a practicing Ob/Gyn for the US Army for three years after residency. His clinical experience includes over 3,000 deliveries in either direct care or in a supervisory role. Dr Edward Vogel has twelve years of experience in medical malpractice case review providing services for both the plaintiff and defense. He has deposition and trial experience and his reviews are accurate, honest and timely. Contributing author, Maha R, Vogel E: Suspected Pregnancy in: Diagnostic Testing in Emergency Medicine. Editor A. Wolfson & P. Paris; Publisher W.B. Saunders Co. 1996.